On December the 16th the “Augsburger Allgemeine”, a local newspaper, has published an article about the CARE project. The CARE project has been selected as project of the month December by the “Projektträger im DLR” (PT-DLR). 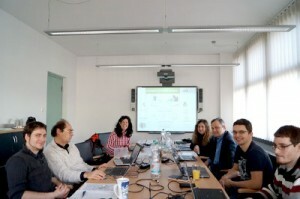 On July the 14th and 15th the second project meeting of all partners took place at ICCS-NTUA in Athens. An article about the CARE system was published in the German weekly newspaper “CAREkonkret” in the issue No. 50/14 on page 12. A meeting in Athens, Greece, will take place from July 14th to 16th 2014, in which all partners of the CARE project will participate. Work results of the last months will be presented and the further procedure will be discussed. 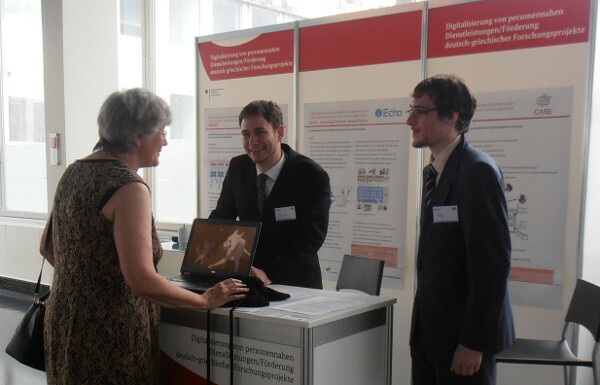 On May 26th and 27th 2014 the conference “Dienstleistung in der digitalen Gesellschaft” (German for “Services in the digital society”) from the Bundesministerium für Bildung und Forschung (BMBF, the German Federal Ministry of Education and Research) took place in Berlin, Germany, on which the University of Applied Sciences Augsburg (Marcus Mayr) and the University of Augsburg (Andreas Seiderer) participated with the project CARE. Besides of different sessions and active communication between scientists, companies and politicians, posters of a wide variety of projects were presented, in which the project CARE was not missing. There we informed many friendly visitors about our project. Hereunder were, for example, Dr. Sigrid Skarpelis-Sperk (see photo), chairwoman of the “Vereinigung für deutsch-griechische Gesellschaften” (VDGG, German for “union of german-greek societies”), as well as Jonas Keller and Klaus Zühlke-Robinet of the DLR (project executing organization of the CARE project). At first sensor data (of the environment and the user) is recorded and processed (into usable data). This data will be saved and is, from now on, accessible over the “Sensor / Actuator Manager”. 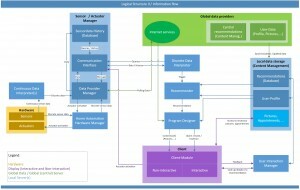 The data will be interpreted by the “Discrete Data Interpreter” and in form of triggers (e.g. a person sat one hour without moving) handed to the “Recommender”. With access to a user-specific-profile (“User-Profile”), a “Recommendations-Database”, internet services and the trigger, person and action specific recommendations will be generated and transfered to the “Program-Designer”. That module generates a program from the given recommendations and personal data (“User-Data”), which will then be shown on the clients (e.g. digital picture frames, tablets, TVs, ..). Optional there is the possibility to activate different actuators (like sound or light) to improve the presentation of a recommendation, which leads to better recognition of the user. If the user wants to give a feedback or look up details to recommendations, he has the possibility to do so with an interactive device (such as tablets, laptops, …). This data will then be analysed and saved for future recommendations by the “User Interaction Manager”. 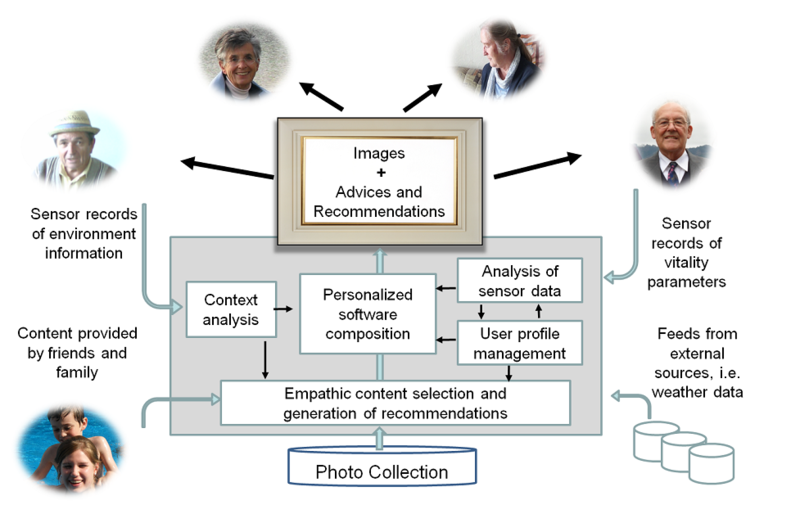 CARE is an acronym for “A sentient Context-Aware Recommendation system for the Elderly”. The basic idea is to enhance the everyday life of elderly people through selected, user specific recommendations. These range from easy suggestions like opening the window after it was closed too long, over short exercices to get the circulatory system going to recommendations of activities, which are beneficial for the user and positively surprise him. For more information, please follow this link to our project description. On February 12th and 13th 2014 the CARE kickoff meeting has taken place, in which the University of Augsburg, the University of Applied Sciences Augsburg and the ICCS-NTUA Athen participated. Items of the agenda were to get to know each other, an analysis of previous developements (which may be of use for the project CARE), the creation of a roadmap and the definition of duties for each team member or task group. 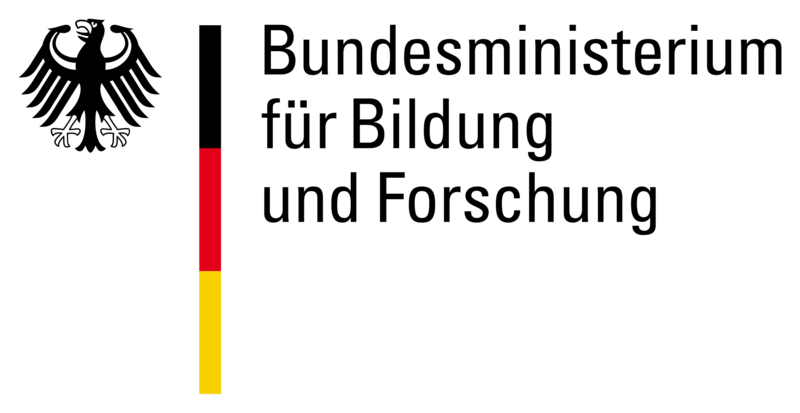 The CARE Kick-off Meeting will take place February 12-13 2014 in Augsburg. Work on the meeting agenda and detailed schedule has started.